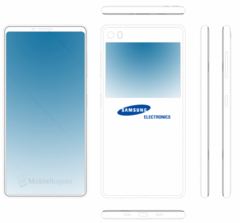 Although the space on the back of the Samsung device shown in the patent that surfaced online thanks to Mobiel kopen might not be a secondary display after all, it is nice to think that a device similar to the YotaPhone might hit the market backed by the name of a major player in the smartphone market. Samsung fans who hate the notched displays that seem to quickly become the norm might never have to switch boats due to this reason. According to a patent originally dated 2016 that was published in the US earlier this month, the South Korean giant might launch a handset with (almost) no bezels, no notch, and a secondary display on the back that makes it look like a next-gen YotaPhone. Samsung applied for the patent in the US back in September and, considering its original date, we hope that adjustments will be made before such a handset hits the market. For example, although the device shown in the patent has a very high screen-to-body ratio, it still has room for a microphone and a speaker on the front. On the back, there is an area that could be a secondary display — but might as well be something else. In addition to the few details mentioned above, the Samsung device shown in the patent seems to lack a fingerprint scanner. 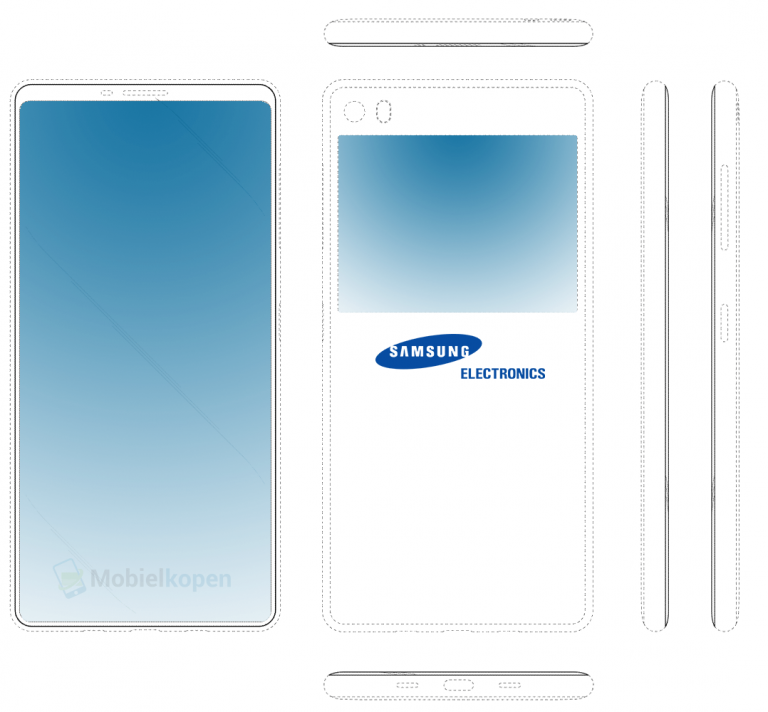 Remains to see if this means that Samsung's upcoming Note phablet will be based on this design or not. Given the excellent results achieved by Chinese underdogs with devices such as the VIVO Nex and Oppo Find X, Samsung needs to get everything right with its upcoming flagship. What needs to be seen is when and how will they use the design shown in this patent for a real product. If you have any thoughts about this, don't be afraid to share them with the rest of us.